It is one of the most well-known Chevrolet sedans on the road today. Whether you’re looking for a reliable family vehicle or a daily commuter with some decent gas mileage, the 2018 Chevrolet Impala is a unique choice to consider when weighing your options for your next car purchase. While Chevrolet may be more well-known for their trucks and sports cars, the company does a good job of designing a high degree of reliability and performance in a simple family sedan. In fact, it has been a top choice for professionals and rental companies for years due to its unparalleled reliability and longevity. With the 2018 model, you will get many of the convenience features that Chevrolet has adopted as standard and optional upgrades in many of their models. With a fuel rating of 22 MPG city/30 MPG highway, the Impala is also a respectable performer in the fuel efficiency department. Coming with either an in-line four engine or V-6 option, the trims are focused on more family-friendly features and conveniences in addition to a higher level of safety, primarily through standard active safety systems, than other sedan models from rival manufacturers. 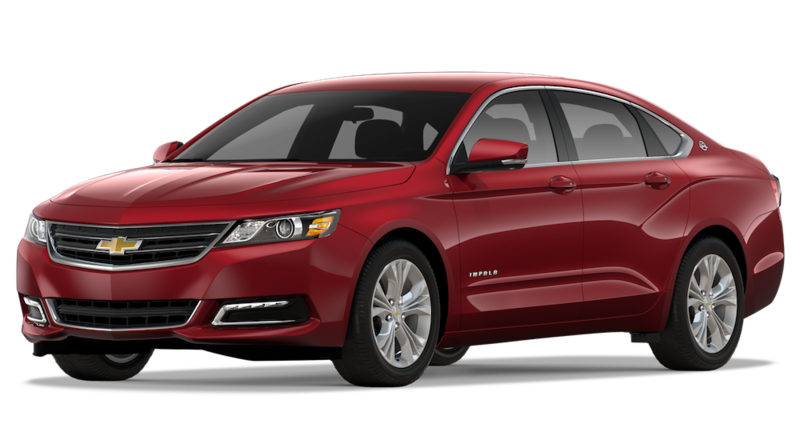 The 2018 Chevrolet Impala starts for around $27,895. Since the Chevrolet Impala is all about a family-friendly experience, the interior is where the true magic happens. A combination of comfortable seating, a spacious, roomy interior, and advanced standard convenience systems makes driving in the Impala a great experience. If you are looking for more comfort during the daily commute or long road trips, this vehicle promises to deliver time and time again without fail. The interior of the Impala is extremely spacious given the car’s size and family-friendly focus. Common with most family sedans, the Impala has enough room to comfortably fit five people between the front and rear rows. Both rows, particularly the rear seats, offer plenty of headroom and legroom, good for taller people who normally find the average car interior to be too restricting. Unlike other family sedans, the Impala actually has a lot to offer in terms of general cargo space. In addition to using the larger rear passenger row as luggage space, the car’s trunk is one of the largest in its class. The trunk has nearly 19 cubic feet of space, making it large enough to hold several carry-on size luggage bags with room to spare. Finally, the interior is dominated by the 8-inch touchscreen that displays the car’s advanced infotainment system. Based on Chevrolet’s MyLink infotainment platform, the system gives occupants access to in-car wifi connectivity via the OnStar with 4G LTE connection. The infotainment system is also Apple CarPlay and Android Auto compatible for hands-free control via voice recognition. Audiophiles may want to consider the optional sound system upgrade that adds an 11-speaker Bose sound system that is controlled by the infotainment system. A true family sedan would not be worthy of your consideration if it did not have a good safety and reliability record. Thankfully, the Impala is well-known in both of these categories for delivering more than the average family sedan. In fact, it is not uncommon to find an older Impala from a previous decade still on the road today driving just like it did the first time it left the dealership. With a number of passive and active safety systems, you should expect the Impala to keep any and all occupants safe while driving in a variety of conditions. The Impala has a reputation of good reliability given its rental fleet status over the years. The 2018 model is no different as it has earned a 4 out of 5-star rating from J.D. Power and Associates in their reliability category. This puts the vehicle above most in its class and even the industry. For extra assurance, the latest model comes with Chevrolet’s three-year/36,000 mile limited warranty and five-year/60,000 mile powertrain warranty. Regarding safety, the Impala provides the usual assortment of standard and active features to keep people protected and to increase driver awareness at the same time. The interior is protected by several front and side airbags in the first row. Second-row passengers will also have side airbags of their own to cushion impacts from the sides. For active safety features, the car’s standard systems are limited to a rearview camera. Coming in higher trims and optional upgrade packages, Chevrolet’s full suite of active safety features is available. These include forward collision warning, blind spot monitoring, lane departure warning, rear parking sensors, rear cross traffic alert, and a smart cruise control that is most effective at highway speeds. The Chevrolet Impala is designed to give you just enough performance under the hood without affecting the fuel efficiency you should expect during the daily urban commute. In other words, the vehicle does a good job of balancing a good amount of acceleration and speed by providing above-average horsepower and torque. All of this is in addition to better fuel ratings in city and on the highway than you may expect. Don’t let the Impala’s reputation as a rental vehicle fool you into thinking this car lacks some decent punch under the hood. In fact, the car comes with several engine options that make the family sedan a good contender for zipping around the city without giving up too much fuel efficiency or traction in the drivetrain. The first engine of the Impala is a 2.5L inline-four engine that makes a great case for the Impala as a fuel-efficient vehicle. With 197 horsepower under the hood, the engine will not win any towing contests, but it will give you greater range than some other cars of a similar size. With this engine, you can realistically expect a fuel rating of around 22 MPG in the city and 30 MPG on the highway. For people wanting a bigger boost propelling their car, the optional V-6 has more horsepower to offer. Coming in at a max of 305 HP, this engine will provide a noticeable bump in acceleration and speed sustainability for a small upgrade fee. Anyone wanting better fuel efficiency may still want to consider this engine since the mileage only drops down to 19 MPG in the city and 28 MPG on the highway. When it comes right down to it, Carl Black is a different breed of dealership. Most of the time, other dealerships are all about a quick sale. If they can get you in and out of the door with the keys to a new vehicle in hand, they are happy. With us, we are not happy unless you are happy. Great GM products, stellar auto repair and maintenance, and the best customer service is what we have to offer you. When you come to one of our dealerships, this service starts with us understanding exactly what you need or want from us. Maybe it is a new car or some maintenance on an existing one. Perhaps you are looking for a few accessories and upgrades to enhance the driving experience. Regardless of why you may come to us in the first place, we are here to help. 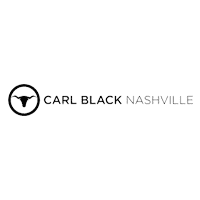 The best way to see just how unique Carl Black is to come down to our dealership today to speak with one of our qualified staff members.